Your Oyster Recipe of the Day: Brie and Bacon Oysters. 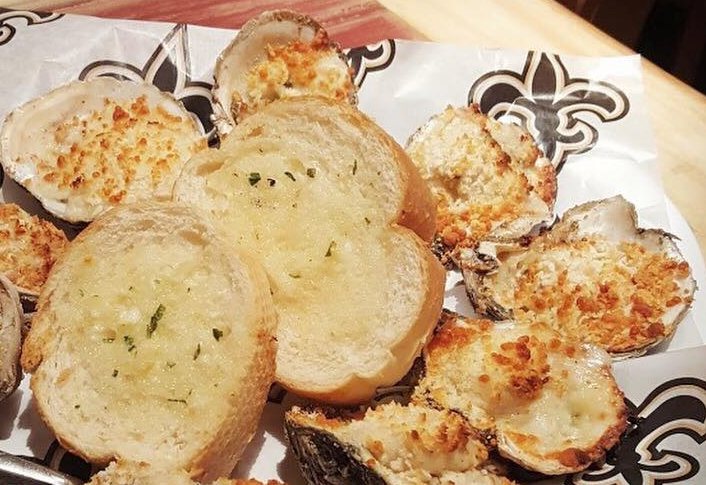 Not just Brie, but a sauce of bacon and shallots with Brie, cream cheese, and Parmesan melted and blended in whipping cream top these oysters from Baton Rouge’s Jolie Pearl Oyster Bar (recipe via Louisiana Cookin’ magazine). Super creamy, cheesy goodness baked on the half-shell! We’ve rounded up scores of hot, bubbly, buttery, cheesy, broiled and baked oyster recipes from your favorite magazines, cookbooks, blogs and chefs.